Christmas is almost upon us, and chances are you haven’t even made a dent in your shopping list yet. Fortunately, there’s a whole bunch of apps designed to help you. Counting down the days until the 25th won’t just help you get in the spirit, it could also help you organise yourself a little better. 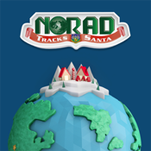 There are lots of these now, but NORAD (Yes really the North American Aerospace Defense Command) has been tracking Santa for 60 years. Lots of fun watching the big man make his way around the world. 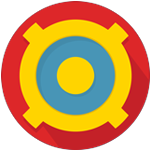 Available on Android and iOS. Create and send Christmas cards in under three minutes this year with app, Inkly. There are hundreds of designs to choose from or you can even create your own by uploading your favourite family photos. 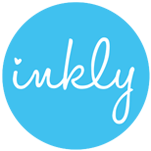 To give a personal touch, Inkly uses handwriting technology. Write your message on a piece of paper, take a picture of it with your phone and transfer your handwriting (and even sketches too!) inside your chosen card. 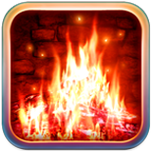 Fireplace 3D Lite from iTunes will make you feel cosy this Christmas. If you don’t have your own fireplace, there’s no need to worry as this app will make you feel like you’re sitting in front of a warm wood fire in the comfort of your own home. There are three different fireplaces to choose from: rustic, traditional and Victorian, each of which have realistic images to make you feel cosy and festive. 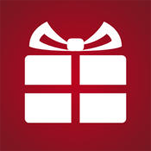 There’s no need to worry with this Manage Christmas app, which helps you stick to your budget, keep track of what you’ve already purchased and log any gift ideas that might spring to mind. Create your own shopping list by adding in your family and friends, setting a budget for each and adding in the gifts that you’ve bought or intend to buy. There is also a continuously updated gift ideas section, so if you’re out of ideas, you might find one of the recommendations useful. 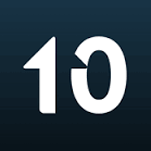 A price comparison app that helps you find the best bargains available online and on the high street. Users can search for a product, filter by categories, and create lists of items to monitor their prices. It also features a barcode scanner, which will instantly display product information, reviews, and the best web price. Perfect for the ‘oh God, I haven’t finished my Christmas shopping’ phase of the month. 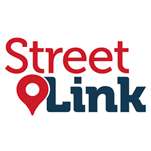 Christmas is the season of good will and as the cold weather kicks in, StreetLink provides a way for members of the public to inform local authorities about rough sleepers in their area and help get them off the streets. Over the last year there have been almost 11,000 alerts to local services, and StreetLink has directly helped 4,000 rough sleepers in the first year since its launch. 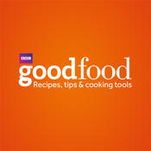 The BBC’s Festive Recipes app features a collection of over 180 tried-and-tested recipes to get you through Christmas and New Year’s. There’s something for every course, plus drinks and canapés and a diverse selection of vegetarian options. All recipes have clear instructions and photographs to help you get the best results. There is also a selection of videos to help you improve basic skills, like chopping onions and making mayonnaise. It’s Boxing Day and after all those frantic Christmas preparations you simply can’t face cooking another meal. 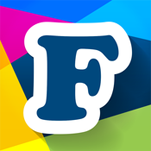 With the Ruffl app you are only three ‘taps’ away from finding a local restaurant with a free table. You can choose your price range, and the app will even provide a map with directions to your selected restaurant. Some establishments even offer extra incentives to entice you through the door. 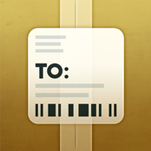 A package tracker: Sick of that one troublesome gift which is unavoidably going to be delivered too late for Christmas? Never again! Deliveries keeps a watchful eye on all of your packages ordered from multiple retailers, tracking everything within a single app and spelling the end of accidentally missing a delivery time. 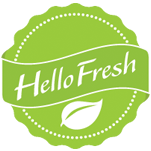 If it’s the supermarket assault course that’s getting you down, apps like Hello Fresh will send weighed measurements of all necessary ingredients as well as handy recipe cards, promising a Christmas dinner with minimal fuss. Fantastic Services is offering a helping hand to stressed out workers by introducing a new service – Fantastic Elves, a team of helpers bookable by the hour to take care of Christmas chores such as cleaning, shopping, wrapping and decorating. If you’ve decided to get away from it all this year, hotel app Top10 offers a stress-free way to book a bespoke Christmas getaway, using your preferences to recommend ten stunning hotels at the best available price.